Portal Home > Announcements > Wordpress Hacked Again! 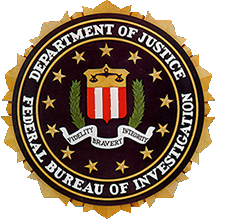 The US Federal Bureau of Investigation (FBI) released a public service announcement (PSA) to the public about a large number of websites being exploited and compromised through WordPress plugin vulnerabilities. This is nothing new and we have been warning and educating our customers about the vulnerabilities of the wordpress CMS. If you want a website that gets hack all the time then use WordPress - it's the most hacked CMS on the planet. If you do use WordPress keep on top of it by constantly updating both your CMS software and all the plugins. Also keep in mind that many WordPress plugins are built for the specific purpose of giving access to your website to the plugin creator. Be very careful using WordPress and its plugins.